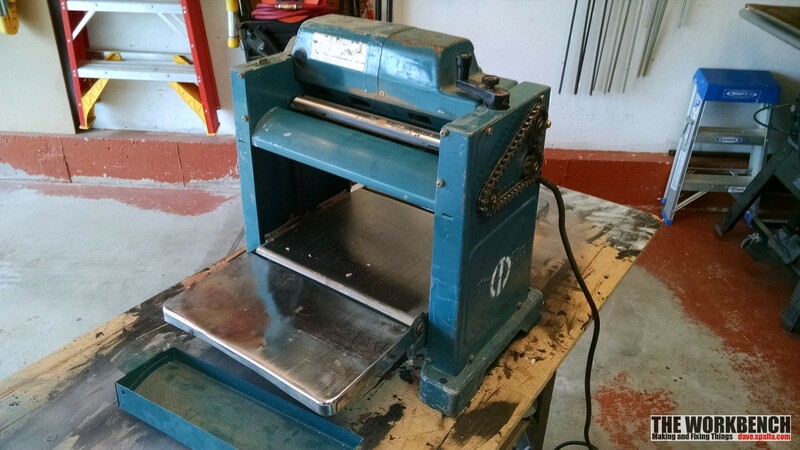 A couple years ago I purchased a used Makita thickness planer at a garage sale. It was, and is still is, in pretty rough shape; the former owner was a retired trim carpenter and used it on the job site. Although the physical appearance was great it did run well and so it was used a few times without issue. Until the recent milling of some reclaimed oak. 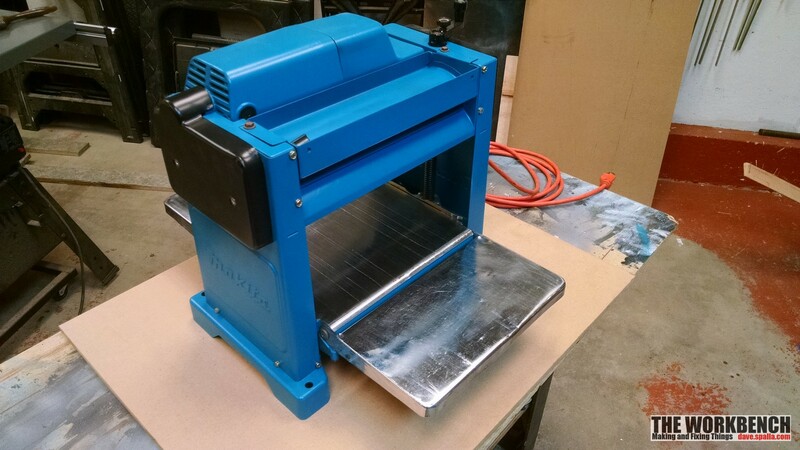 As the milling process continued, it became harder to feed the stock through the planer and it started making a very loud groaning sound. Thinking it might be fixed with some lubricant, some spray white lithium grease was put on the roller bears, but it had little effect. Time to disassemble and inspect. 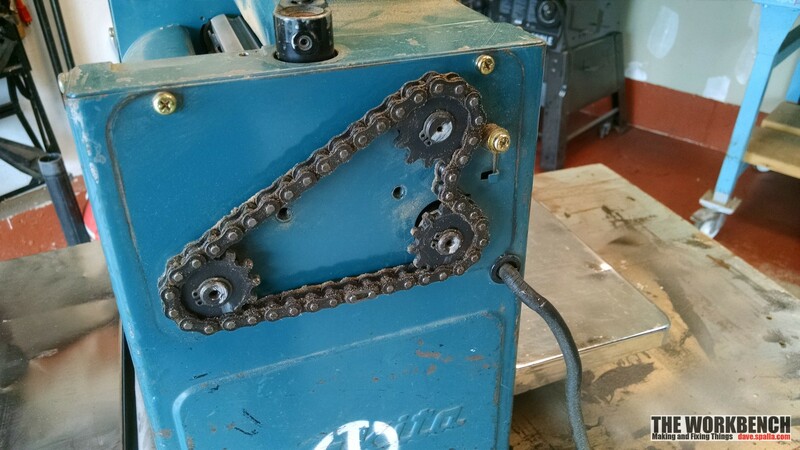 Begin by removing the two black cover plates that protect the chain and belt. 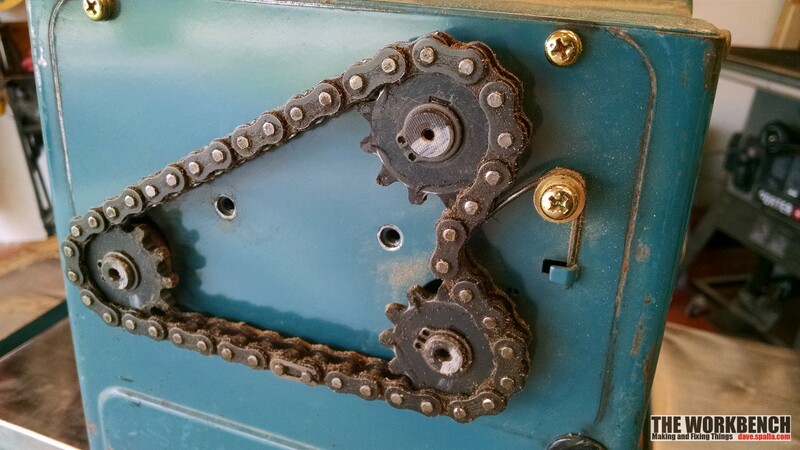 The chain was removed next, the tensioner spring is held in place with a bolt. Remove that and the chain master link. The belt will be removed later. Remove the three sprockets with a snap ring removal tool, such as the Harbor Freight version that I used. The side panel can be removed. 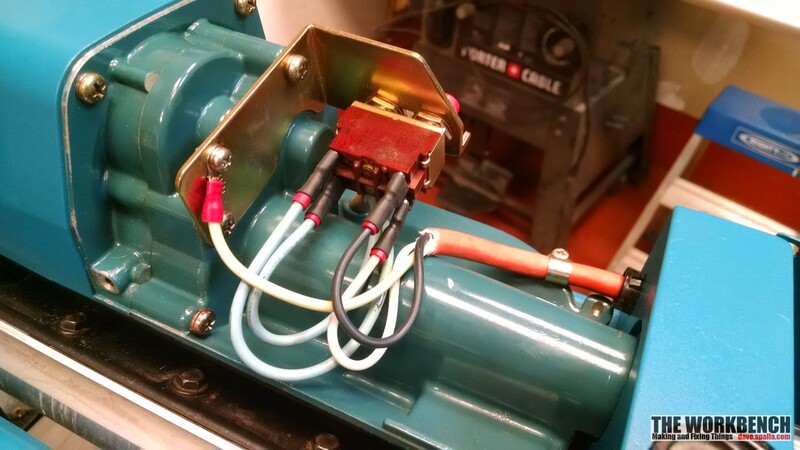 To more easily remove the poly drive belt, remove the screws that hold the motor assembly in place. 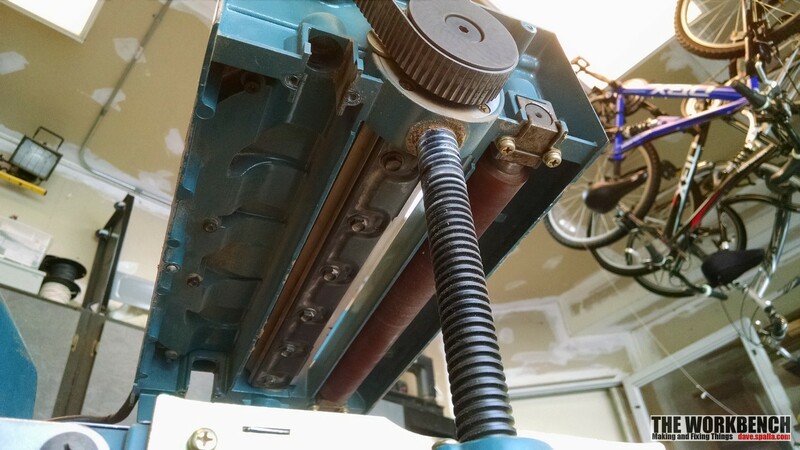 With the socket-head cap screws removed, it is slightly easier to remove the belt… but only slightly. Now that the drive belt is out of the way, remove that side panel as well. Since the belt and chain has been remove, now is the time to begin the initial investigation into the noise. 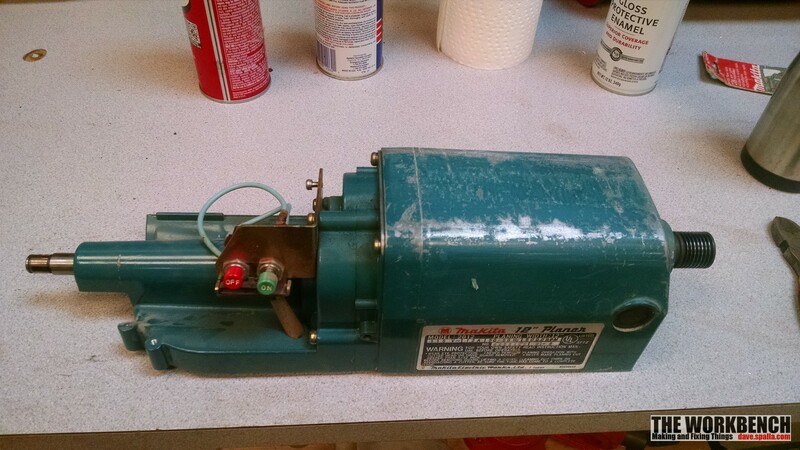 The noise is more of a groaning sound, therefore it is created more slowly and that would probably eliminate the drum as it spins at a very high rate. It was still checked for smooth operation and end play. 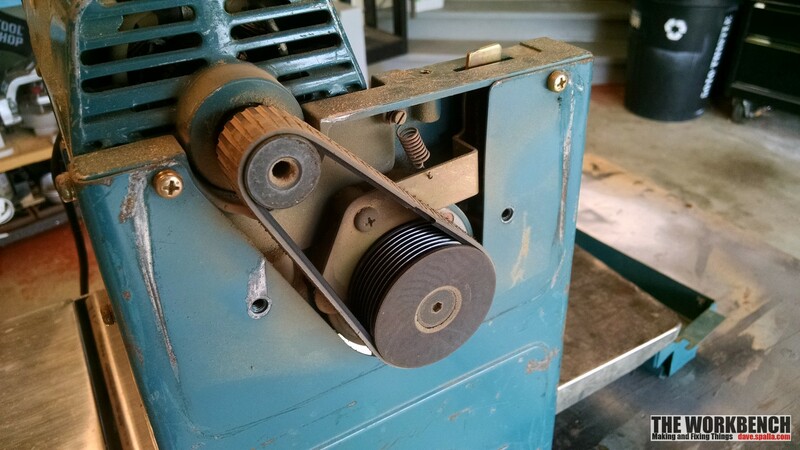 The drum rotates smooth and there is no discernible play in the bearings. Next, checking the rollers the front assembly would turn freely while the rear one was very hard to rotate. And there is the culprit! 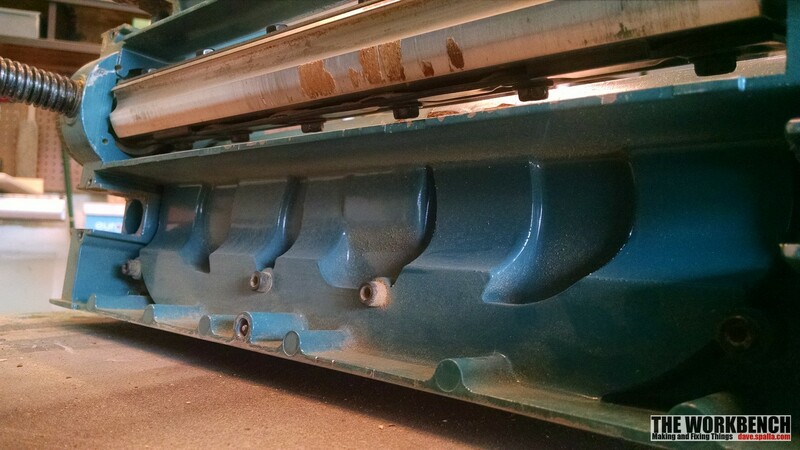 Time to remove the rollers and inspect. 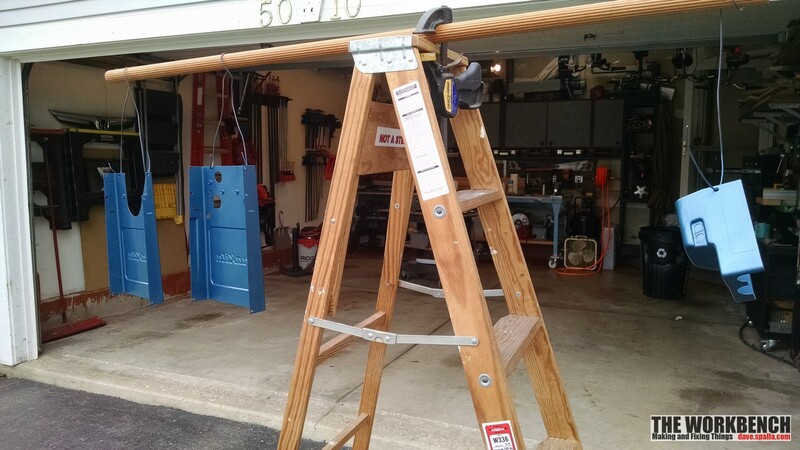 Each roller is held in place with a total of four screws and a wire retaining clip. Remove one side and remove the roller. Above the bearing is a spring for tensioning purposes. The front, right side has two, one inside the other. 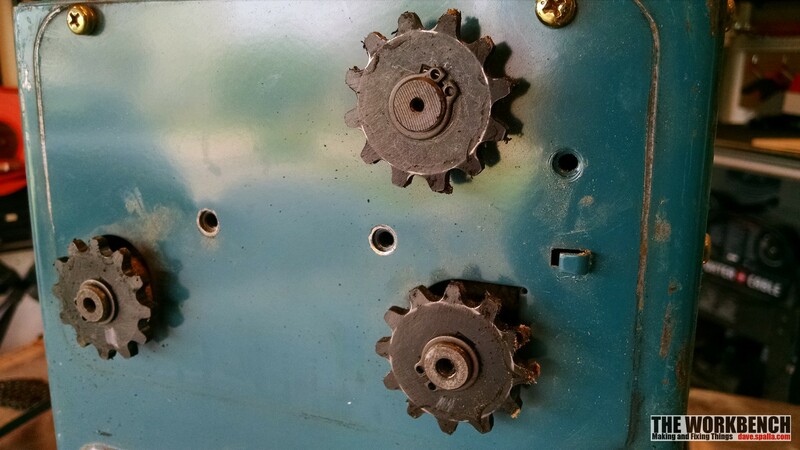 Both of the front bearing were worn, but one was so worn that the hole was elongated and debris was inside the hole and that was causing it spin with difficulty. Problem identified and now to solve it. 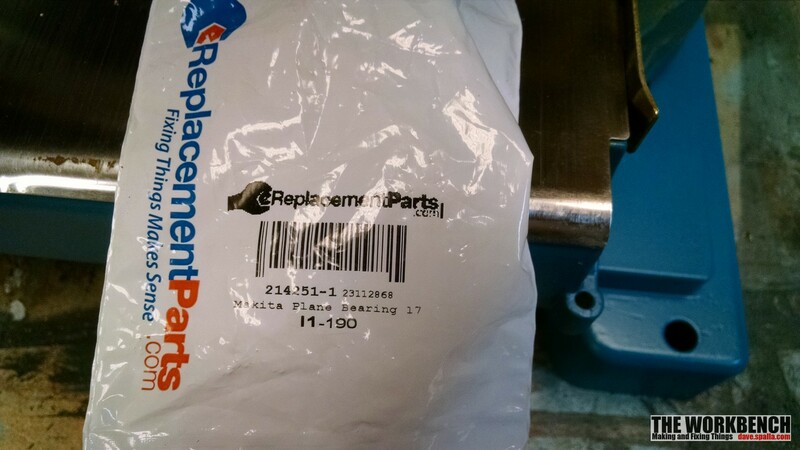 On the website for ereplacementparts.com, they have an exploded diagram of the Makita 2012 planer and all the various parts in stock. 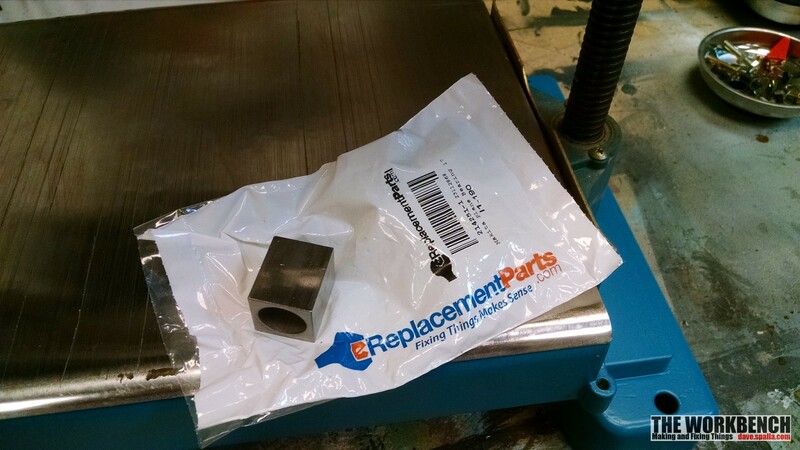 I ordered four replacement bearings, part number 214251-1, on a Wednesday afternoon and the parts arrived on Friday. Having ordered from them for the first time, that was a very pleasant experience. 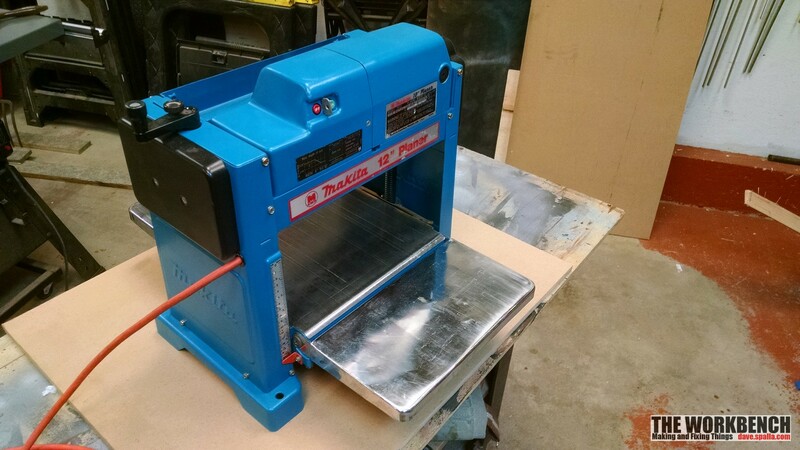 Before reassembling the planer though, it’s a good time to clean up the various bits and apply a fresh coat of paint. The cleaning process begins with the rollers. 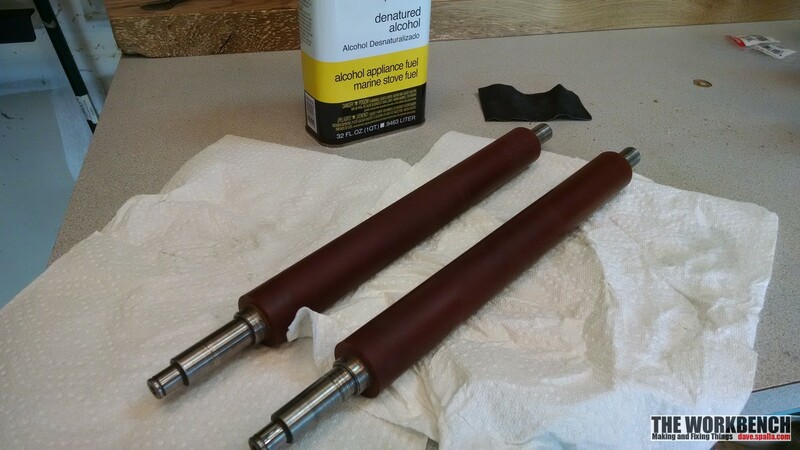 The rollers had a lot of sap and dust attached, and the best way to clean all of that off is with a paper towel and some denatured alcohol. Clean off the shaft areas as well. After cleaning the rubber will become slightly sticky again. Wrap both with a paper towel to protect until assembly. 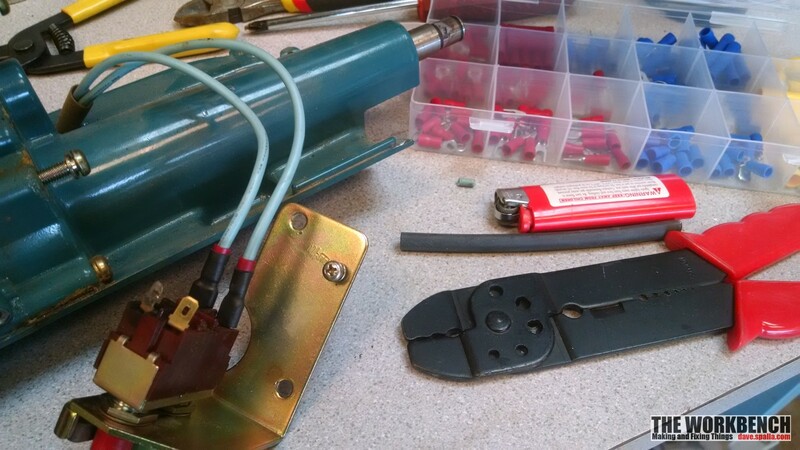 The next step is to inspect the electrical connections. 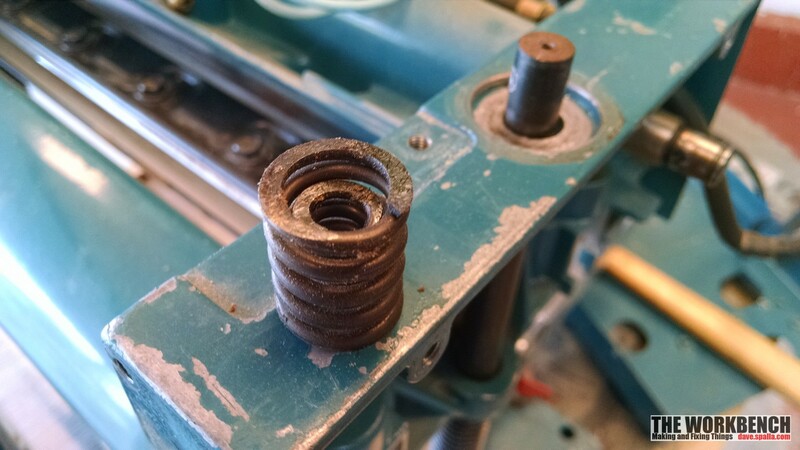 The planer has seen a hard life, and proof of that (besides the worn out bearings) is the electrical connections at the switch. 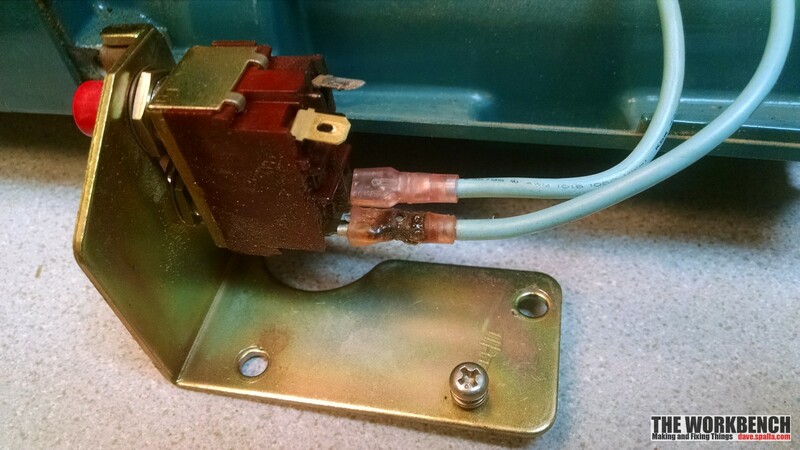 with the hot side nearly melted on both sides of the switch, the concern was that the switch would also have to be replaced (that’s a concern as the replacement costs $32). 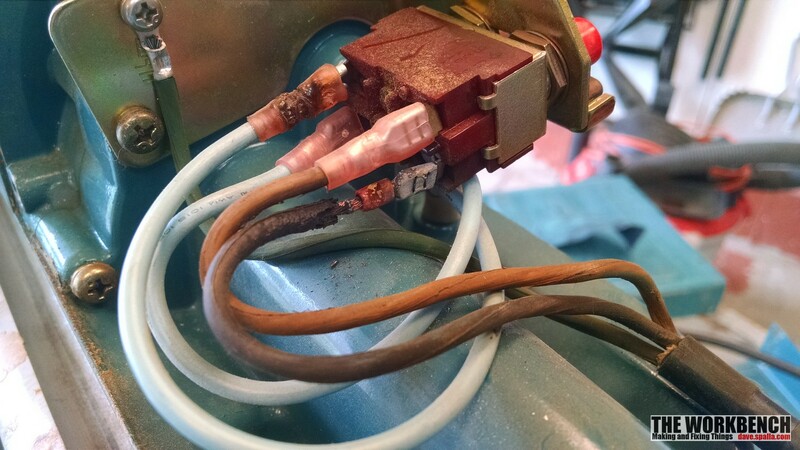 Fortunately the switch is OK, and just the connectors and wire require service. The power cord was replaced with an orange extension cord with new connectors. 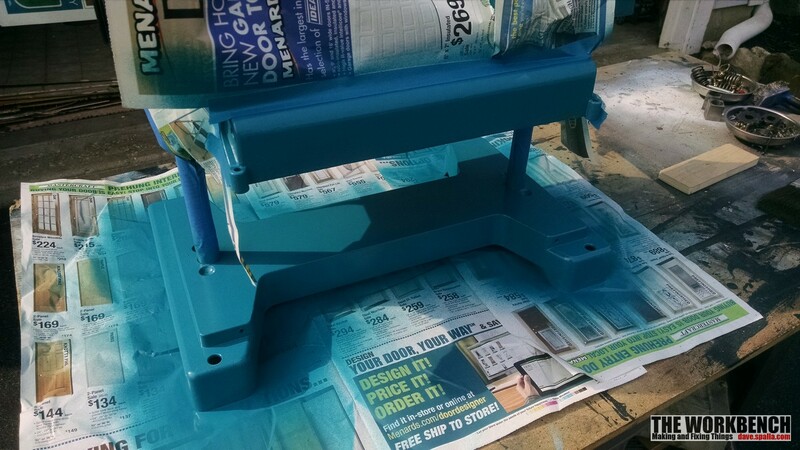 Time to paint.. obviously there is no Makita blue spray paint, but Rustoleum has a color they call “Lagoon” that’s close enough. 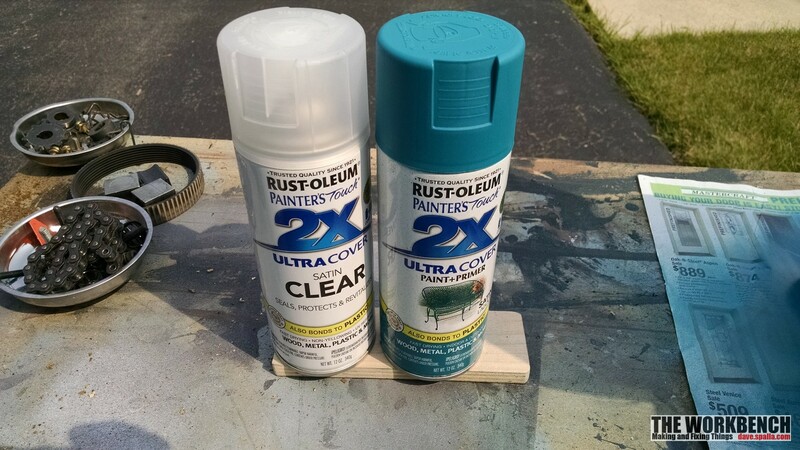 The paint job was originally started with blue hammered paint that was on the shelf, it was a partial can and enough to get started. It’s no longer made so additional cans could not be purchased. Pro tip: don’t use old paint for a project unless there’s enough to complete it! 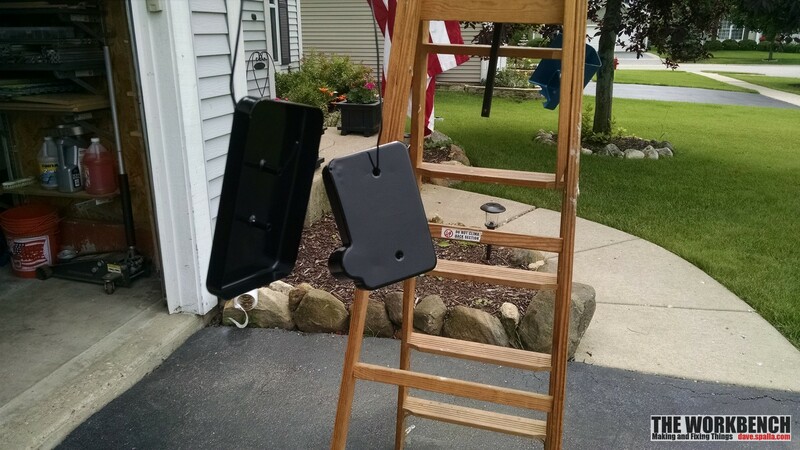 The side covers were painted black and all pieces received a few coats of clear.